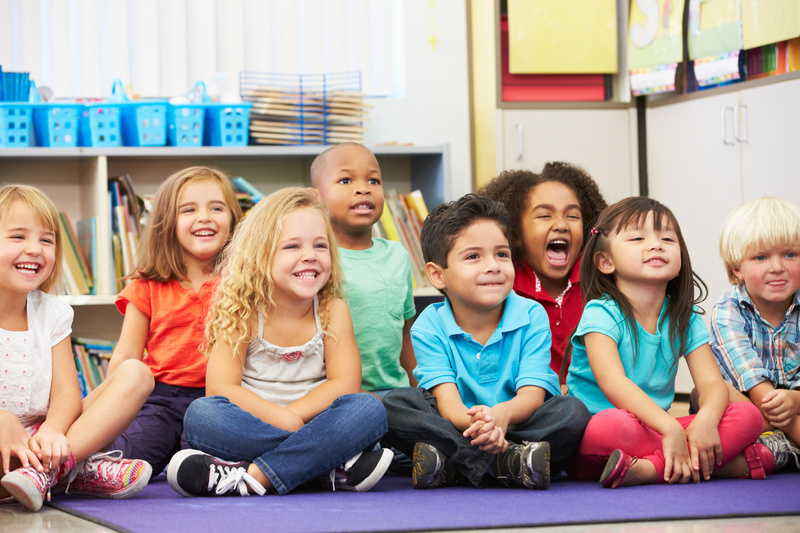 If you are hoping to enroll in a preschool, there is a lot to consider. A great place to start is scheduling visits to all the preschools you are considering. This may be individual tours or open houses which could be offered while children are in classes or not. If children are in classes, it’s best to watch for happy, relaxed, busy children who are enjoying the program. Also make sure to pick up their brochure during your visit. You can also compare preschools by visiting their websites. Print their mission statements or About Us pages then add these to the brochures from visits and compare. These write-ups should give you a good sense of their overall philosophy and lay out of what they feel is most important in the preschool setting. Here is a list of things you might consider. While you likely can’t observe or ask about each, it can be helpful to pick the ones most important to you and compare. Location, drive and cost – This is a practical place to start and can easily rule out certain preschools. Schedule of program – If you are not a morning person, it can be a struggle to make a 7:50 a.m. start time. Consider the start and stop times and number of days available. Consider your abilities between morning and afternoon classes, and also full-day classes. Discipline philosophy – This might be the most important thing to consider. Many preschools take a positive discipline approach. Others use time-outs and reward systems. A few religious schools hold on to the threat of corporal punishment. Class size and ratios – Smaller class sizes and lower ratios are often a goal. However, there are some systems, such as Montessori and Catholic schools, that tend to have higher class sizes and run smoothly. Teacher requirements and ongoing training – Different preschools have different teacher requirements. Some require a high school degree, others a college degree, and others a college degree in an education related field. NAEYC accreditation (see below) requires the school to have a percentage of teachers with education related degrees. How they build in academics – Think of academics on a continuum, from an academically oriented preschool that focuses on letters and numbers through worksheets and seat work; to a play based system that incorporates academic ideas; to a play based system that doesn’t focus on providing an academic foundation. I prefer that middle play based system that provides a strong academic foundation. Wide variety of appropriate materials – There should be more than enough toys, art supplies, books and other supplies for the number of children in the room. Many schools have a large storage of toys, art and other supplies so teachers can easily rotate what is available in their classrooms. Mix of time – This is looking at how much time children spend in small groups, large groups and independent play. Daily activities and enrichments – This is looking at what’s built in to a typical day including center, snacktime, playground and enrichments. Some schools have no special enrichments. Others offer music, science, nature, second languages, art, P.E. and other enrichments. 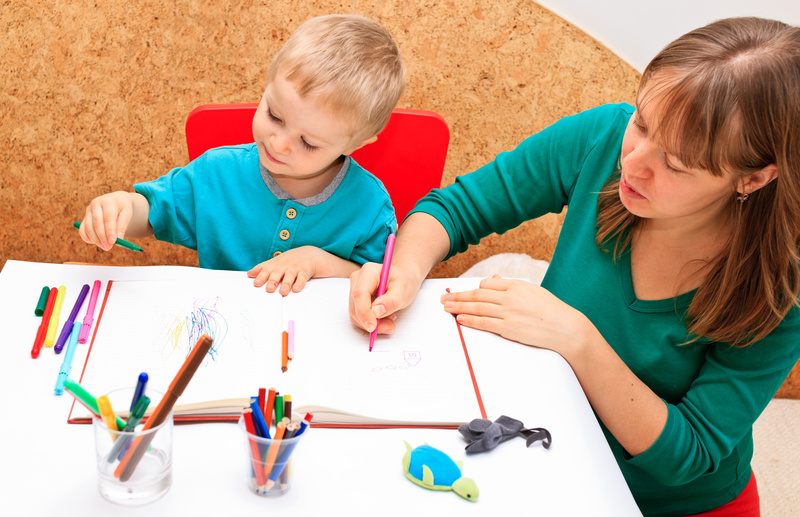 Parent-teacher communication – Some preschools offer one or two parent-teacher conferences. Some send monthly, weekly or even daily notes home. Others have classroom or school message boards. Parent participation – Cooperative preschools require participation in a regular way. Some preschools have parent organizations that do fundraising and other classroom activities. Others invite parents in to the classrooms to read stories or run art projects. Some preschools prefer parents stay out of the classrooms and don’t offer much in the way of participation. Previous and current families’ feedback – You might ask to speak with other families. You might also go online; in the DC area you can log onto dcurbanmom.com and scroll down to the Preschools forum to anonymously ask for feedback. You might ask parents in the neighborhood. Sense of organization – If it’s during the school day, there’s going to be some amount of chaos. In general rooms should be organized, materials stored in a neat way and furniture placed so there’s plenty of room to move and work and play. Cleanliness – Except for momentary circumstances or incidents, the place should generally be clean. The toys and supplies should be clean. Indoor and outdoor space – Some preschools have large classrooms. Others have small classrooms, but they make very good use of their space. Some have acres of outdoor space; others have none. Quality of playground area – There is a wide range of what is available on preschool playgrounds. If they are going to be outside daily, it’s good to take a look. Amount and use of outdoor time – This is something to consider at both preschools and elementary schools. Nature immersion schools can spend whole days outside. Other schools may not go out daily. Potty training requirements – Some preschools are relaxed about age guidelines. Some encourage potty training by a certain age, and others require it. If you aren’t there, it’s helpful to know the expectation. If full-day: nutrition, eating style and naptime – Full day kids are are eating at least one meal, sometimes two at school. It’s helpful to know what is provided and the logistics around meals. Families are often encouraged to help children build healthy eating habits. Full day kids are also napping at school. It is important to know your states nap requirements and how your preschool follows them. Types of preschools – There are several types of preschools available and each with their own approach. I hope to write another post soon about the differences in types of preschools, but for now, know that if you are applying to one you should know how they differ from others. This includes play based preschools, religious schools, Montessori, High Scope, Reggio Emilia, nature immersion, Multiple Intelligences programs, Waldorf and Museum preschools. NAEYC accreditation is an additional thing to consider. This certification, from the National Association for the Education of Young Children, is designed to ensure high quality learning experiences. They assess teacher qualifications, safety standards, curriculum structure and administrative efforts. I wouldn’t rule out a school that isn’t accredited, but if it is, you can check a lot of things listed above off your list. I had the pleasure this morning of talking to 220 home daycare providers. Most of them work with children birth through five years old. The topic was the importance of introducing math concepts and ways to best do this by age. Below are a few take-aways for parents from the workshop. Math is much wider than numbers and counting – Of course, it is numbers and counting, but early math also includes sorting, matching, drawing similarities and differences, shapes, weight, time, space, balance, proportion, sequencing and patterns. Introduce math concepts through play – Add measuring cups to your sand or water table. Play “Mother May I” requiring them to ask and count out the specific steps. Include them in your everyday math – This is as small as 1:1 correspondence of counting the napkins when you set the table and as big as keeping a running price tally in the grocery store. Following recipes and cooking together is an easy way – Talk about the sequence of directions and the importance of following each step. Highlight the measurements and temperatures. Carry school concepts to real life – If they are learning about counting money in first grade, start using cash and let them be in charge of paying as you go. Read about it – There are lots of good books below.